Day 02: Morning sightseeing around the Kathmandu valley (Pashupatinath, Boudhanath,) Afternoon fly to Nepalgunj. Overnight in hotel. Day 03: Early mornings fly to Simikot (2850m. above sea level). Explore the surrounding of Simikot village. Overnight in Guesthouse. Day 04: Morning helicopter fly to Hilsa (Nepal-Tibet Border) and drive to Taklakot (35 km) via Khojmath Monastery. Overnight in Guesthouse. Day 05: Morning drive to Manasarovar Lake (65-km drive 4510m. above sea level) afternoon Ritualbath and puja around holy lake and drive to Darchen, at the foot of Mt. Kailash (4500m. above sea level) overnight in Darchen. Day 07: Trek over Dolma La Pass (5636m. above sea level) to Zuthulphuk Overnight in Guesthouse/Camp (22 km 7 to 8 hrs walking distance 4850m. above sea level). Day 08: Complete the Kailash Kora in Rongdo(14km 4 hrs walking distance) and drive back to Manasarovar Lake.Overnight in Guesthouse/Camp. 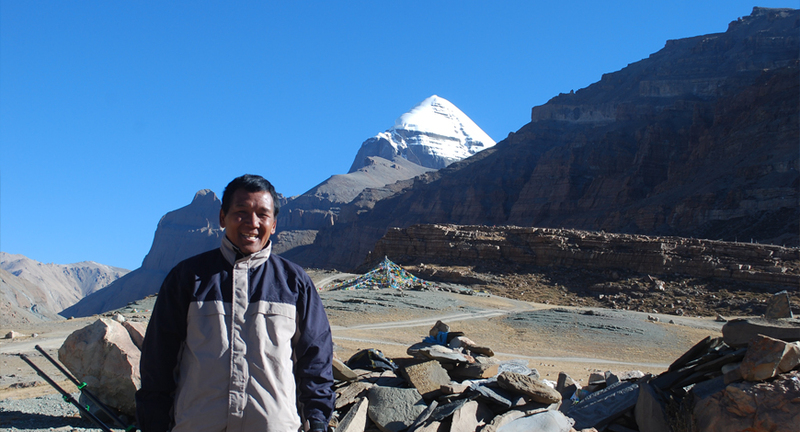 Day 09: Morning Manasarovar parikrama with Puja afternoon drive to Taklakot. Overnight in Guesthouse. Day 10: Drive back to Hilsa and helicopter fly to Simikot. Overnight in Simikot in Guesthouse. Day 11: Fly to Nepalgunj same day afternoon fly back to Kathmandu. Overnight in hotel. Day 12: Drive to the airport and fly to your next destination.